This is the Brotherhood of Man hit, right? IIt’s definitely a bit super-heated, but hey, it’d work well for the event. Stewart: “…people who think shouting is annoying, counterproductive, and terrible for your throat…” Someone tell that to Chris Matthews, please! 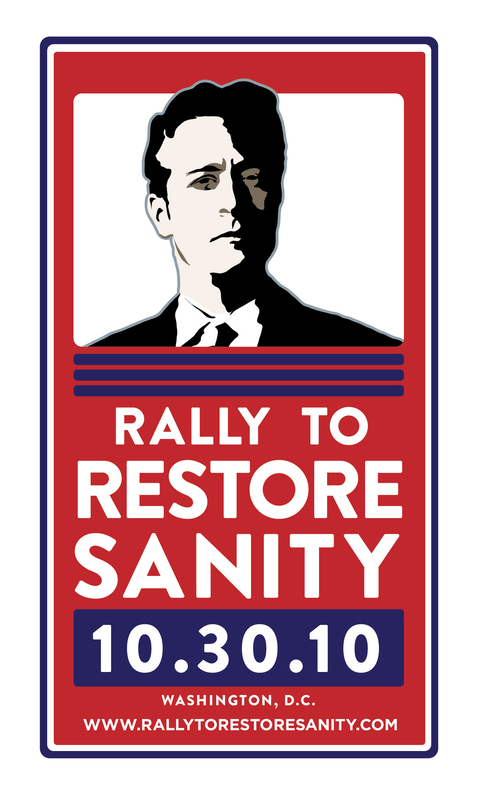 It should be a very interesting day – just as long as Fox Nooz doesn’t report it as Jon Stewart’s “Rally to Restore Hannity”! PS – Glad to have you back, Artie! I don’t like to voice on line about my political views, but yeah, I don’t like the shouting or negative responses from both sides. I will call myself the busy majority at this point. When it comes time to vote, I would hope that my vote elects the one party that will restore America. The yelling and the screaming seem to be a permanent part of the political seasons now. Calm down! Calm down! Discuss the issues and let the voters decide. Perhaps it’s an age “thing”, but I just don’t get voting for the yellers and the screamers. They hurt the eardrums and whatever their message is (assuming they have a legit message) gets lost in the noise. And by the way – I really don’t care which side the yellers and screamers are on. A pox on them all. Thanks for drawing attention to Jon Stewart’s “Rally To Restore Sanity”. That’s a great poster he has and right now, I’m using it as my screen saver. I would also like to thank our President and his team for helping to restore America from the mess we were in two years ago. Right now, things may not be easy but back then they were downright scary. How quickly some of us forget. « SAY IT LOUD…I’M BACK AND I’M PROUD!